Today in Masonic History Reynato Puno y Serrano is born in 1940. Reynato Puno y Serrano was a Filipino jurist. Puno was born in Manila, Philippines. He would graduate from the University of the Philippines with a law degree. His post graduate work would include Southern Methodist University in Dallas, Texas for a Master of Comparative Laws, University of California, Berkley for a Master of Laws and the University of Illinois where he completed all of the academic requirements for a Doctor of Judicial Science degree. In 1969, Puno entered private practice in his brothers firm. In 1971 he would join the Office of Solicitor General serving for nine years. In 1980, Puno would be appointed to the Court of Appeals. In 1984 he would become the Deputy Minister of Justice staying there for two years. He would return to the Court of Appeals in 1986. In 1993, Puno would be appointed as an Associate Justice of the Supreme Court of the Philippines. He would be an Associate Justice until 2003, when he would become the Senior Associate Justice. This would put Puno in line to be the next Chief Justice of the Supreme Court. In 2005, when the sitting Chief Justice retired, Puno was passed over for the position when an Associate Justice was elevated to the position. This would be the first time in 20 years that the Senior Associate Justice would not be elevated to Chief Justice. Puno would only have to wait one year though before he was moved up to the Chief Justice position in 2006. 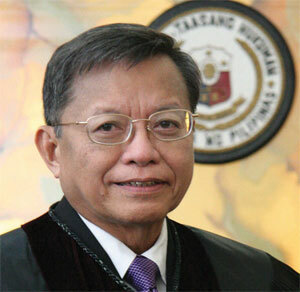 Puno would retire from the position of Chief Justice on May 17th, 2010. Puno is a member of Hiram Lodge No. 88. He is a charter member of Jacques DeMolay Memorial Lodge No. 305. He is also a dual member of Dagohoy Lodge No. 84. Puno was also the Grand Master of the Grand Lodge of the Philippines in 1984.